Rim Country Real Estate is a real estate company serving the city of Payson, AZ including the private residential communities of Chaparral Pines and the Rim Club. Rim Country offers two locations to serve our clients in Payson. We are the only real estate company that is located on site inside the guarded entry of the exclusive golf community of Chaparral Pines. Our sales office is adjacent to the putting green and just steps from our beautiful club house, golf shop and driving range. 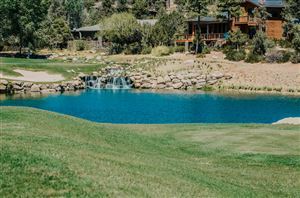 Our sales team at Chaparral Pines have an average of 10+ years serving the residents of this community as well as our sister community of The Rim Golf Club. The sales team at Rim Country Real Estate was involved in over 66% of the sales in the community during 2012 and we continue to be the leader in experience and knowledge in these two exclusive communities. Our branch office is located in the heart of Payson on Hwy 260 just east of Hwy 87 at 600 E Hwy 260 Suite #11. We offer a seasoned sales team that is familiar in the areas of Payson, Pine, Strawberry, Christopher Creek, Kohls Ranch and other outlying areas. Our team can also be helpful with new construction and information on available homesites if you are looking to build your dream home. We are available 7 days a week at 928-474-1222. Please feel free to our featured listings or browse current available listings in Payson, Chaparral Pines, and The Rim Club and contact us to assist you in finding your new home.